Four officers were attacked after attending a fake 999 call. A university drop-out has been found guilty of a knife attack on four police officers after they responded to a fake 999 call. Alex Traykov, 20, used the alias "Solomon" when he rang 999 to report a fight at a house in Islington, north London, on the evening of October 6 last year. He then lay in wait with a large kitchen knife hidden behind his back in the hallway of his friend's flat. The Old Bailey heard that within three minutes, four police constables arrived on the doorstep completely unprepared for the "extreme violence" about to be unleashed on them. Traykov was cleared of attempted murder but convicted of three counts of wounding with intent and a fourth charge of attempted wounding with intent. The jury deliberated for eight hours to reach verdicts by a majority of 10 to two. 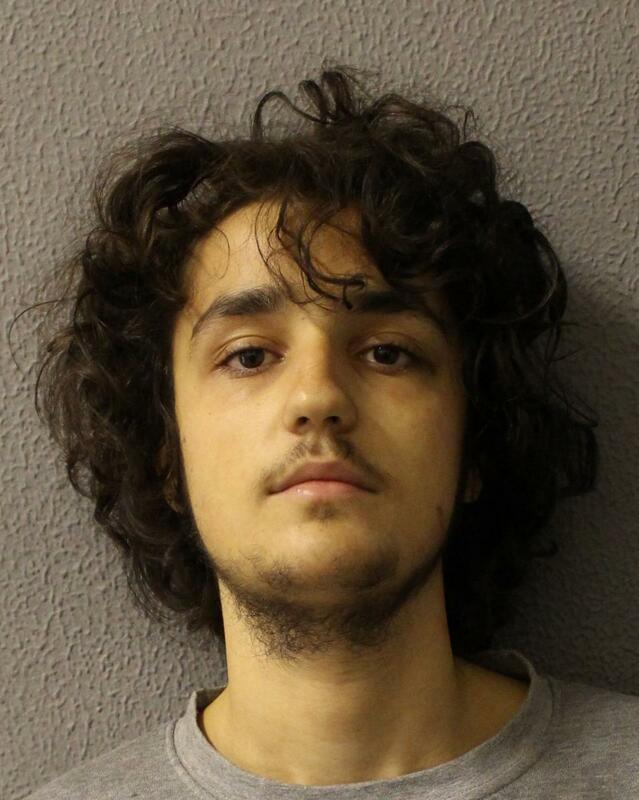 Alex Traykov, 20, attacked four police officers with a knife when they attended a 999 call-out. Prosecutor Duncan Atkinson QC had told jurors: "Without hesitation or warning and certainly without the slightest provocation from the officers, he raised his right hand and proceeded to attack the officers." Traykov brought the blade down onto the head of Pc Istarlin Said-Ali, 31, cutting her hand as she warded off a second blow. He lunged at Pc Rafal Kedziora, 34, cutting his face and slashing the back of his neck. He went on to attack Pc Ben Thomson, 40, before he was finally brought down by Pc Launa Watkins, 39, who Tasered him twice. Giving evidence at the Old Bailey, Traykov, who lived with his mother in Redhill, Surrey, accepted he had injured the officers but denied he meant them serious harm. The former Winchester University history student said he was so "high" on strong cannabis he was not thinking straight. He claimed he had called 999 to play a "prank" on his friend then forgotten all about it and made crumpets with jam. Traykov was still holding a knife he had used to make food when he answered the door, he claimed. He told jurors: "I have felt terrible since I came to prison and I have thought about it every day, tried to reason and live with it. "I thought about the officers, how they were injured, and now I have seen them in court it's 10 times worse for me." Judge Wendy Joseph QC queried why the young man of previously good character had "gone off the rails". She said he faced a "substantial" prison term when he is sentenced on May 10.